This is an impressive appetizer that comes together quite easily. As with all Mozza recipes, it is the finishing touches that make this a standout dish. If you do not have Saba, you can substitute a drop or two of truly high quality balsamic in its place. 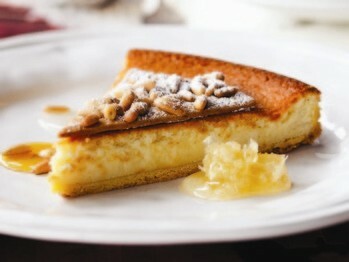 Very delicious and simple to make. I love taking this salad to work. Almost impossible for me to imagine a better pizza crust for a home oven than this one. It’s just the perfect combination of crispy and chewy. Always great, we just love it. Delicious pizza but I used my regular thin pizza crust recipe. This is a very delicious dish. More than the sum of its parts. Interesting contrast of textures and deep satisfying flavors. Used a local butcher's rapini sausage which worked well. One of the best ragus I've ever had. We are great fans of wild boar and so I have several boar ragu recipes in my arsenal. This particular recipe is very labor intensive and has quite a few last minute steps making it unsuitable for weeknight meals. Having said that, the core boar recipe can and should be made ahead and frozen. The basic tomato sauce which is mixed with the boar recipe at the last minute also can and should be made ahead and frozen. If you follow the instructions and do all the last minute instructions, your meal will be outstanding. While I loved this dish, I think some of my other boar recipes (Olives and Oranges) are just as good and far less work. I did the recipe as written, using guanciale and parsley. I made this with homemade pasta, and I don't yet know how to convert the stated weight for dried pasta to the weight of fresh homemade pasta, so I ended up stirring too much pasta into the sauce. It was still great! The red onion was so sweet, and such a great contrast to the guanciale and the cheese. Ditto on the oohs and aahs, I'll make this again. This excellent dish comes out exactly as it is served in the restaurant. As with many Mozza recipes, this is a component recipe requiring you to have a passata recipe, and a pickled pepper recipe on hand before you start so a frozen pantry is advisable unless you have all day to put this dish together. Note that the ingredient list specifically calls for skinless halibut, and the instructions are specific about cooking the halibut skin side down until the skin is brown and crispy. Beet salads are a dime a dozen... they are often too sweet for me. Nancy Silverton apparently agrees and she inspired me to try adding some horseradish to spice things up. It works. It is a bit of a project, this recipe. But if you spread it out over a couple of days, you’ll find it is quite easy and the results are pretty impressive. I loved...that they're kind of like a cookie and kind of like a tartlet. They're sturdy enough to pick up and eat with your hands and pretty enough to be served on a plate with whipped cream. 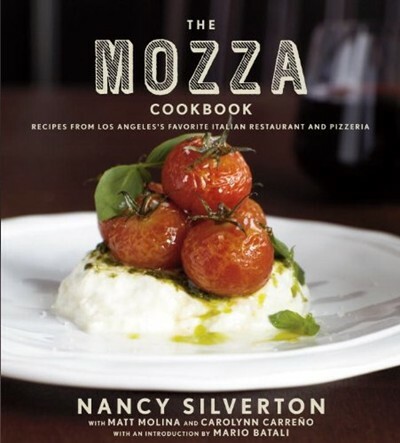 The original idea for Mozza came to Nancy at her summer home in Panicale, Italy. And that authentic Italian feel is carried throughout the book as we explore recipes from aperitivo to dolci that she would serve at her tavola at home. But do not confuse authentic with conventional! Under Silverton’s guidance, each bite is more exciting and delectable than the last.